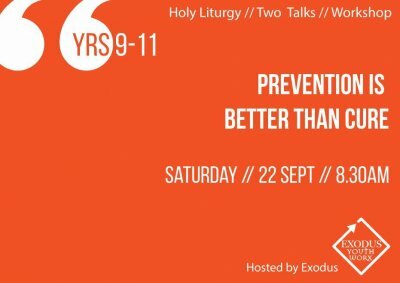 Join us on Saturday 22nd September as the awesome team from Exodus come talk to us about how prevention is better than cure. 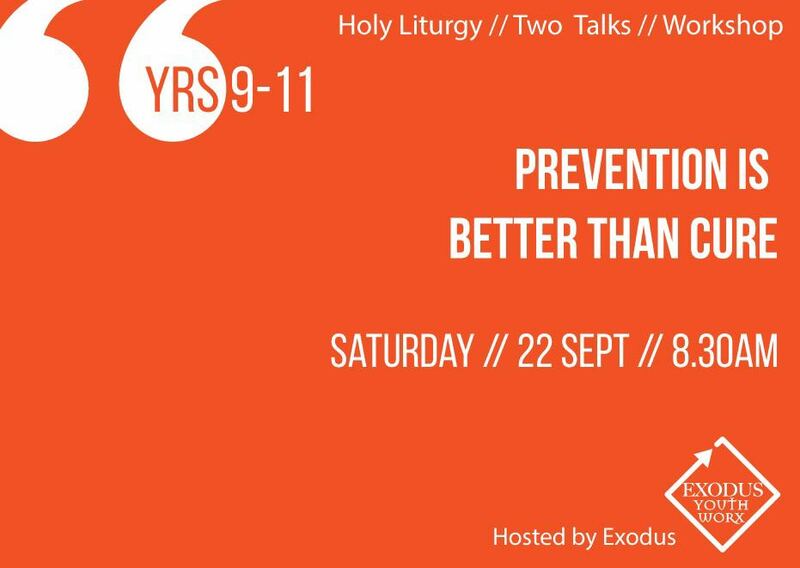 This day is aimed at high school students from years 9-12. Day will start with the Holy Liturgy at 8:30am Followed by breakfast. Debbie and the team will give 2 small talks and workshops to inform Students how to live a well balanced life.